One thing I especially love about social media is that the different platforms are constantly rolling out new updates that better (or, in some cases, worsen) their respective experiences. Social media is always changing, which is exciting. But those changes require constant researching, learning and adjusting. Just when you feel like you've mastered it, it goes and changes on you. To keep you in the loop and to hopefully ease the transition tension a bit, I've recapped the latest social media updates that you might want to know about. 1. Pinterest - Now when you pin a story or article, in addition to the photo and link, the author's name, article title, brief description and a larger link will appear. This should encourage the pinning of more articles, as users do on Facebook and Twitter. 2. Facebook - Made an error in your status update but noticed just after you clicked 'Share'? Delete no more. You can now simply click the arrow in the top right of the status window and select 'Edit.' It's about time! 3. Twitter - Photos embedded in tweets are now larger, creating a 'bold visual focus on the media.' This is great news for those who tend to put out very visual-heavy content. 4. Twitter - A new push notification sends recommendations when several people in your network either follow the same user or RT the same tweet. Use these recommendations as they are tailored specifically to you! This ensures you're as informed as possible about what's trending amongst your connections. 5. Instagram - If you have the new iOS 7 software and updated your Insta app, you may have noticed an aesthetically altered layout and feed. Photos and videos are larger and profile images now appear in the shape of a circle. 6. Facebook - Only three days old, this new Facebook update is not yet accessible by all users. The revamped graph search will allow users to search for topics within status updates, posts and comments. Searching by time periods or locations is now possible as well. (Something along the lines of 'Posts by my friends from last week.') This update puts Facebook on a more competitive level of play when it comes to being conducive to real-time conversations. In other words, it's striving to compete with Twitter in this department. Whether or not it can remains to be seen. 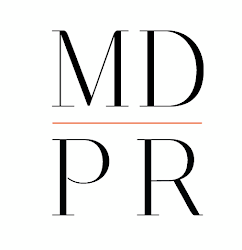 I'll be back next week with some more social media related news for you to consume, but until then, if you have any news of your own, questions or tips, please feel free to tweet us at @MonikaDixonPR. Or Instagram...whichever you prefer. And please share this if you found it helpful!